So you finally purchased a vacation home: congratulations! 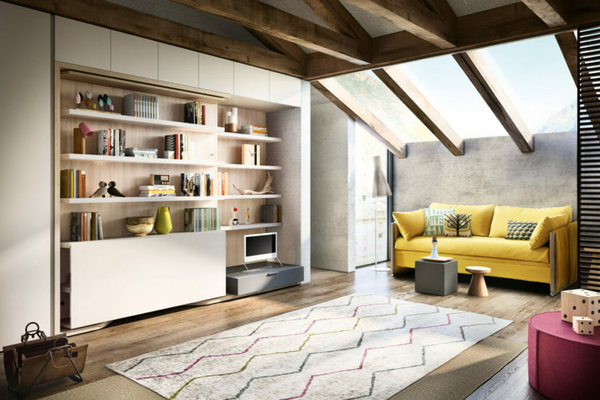 How should you go about furnishing your new property? Whether you are the proud owner of a lake house, beachfront condo, or cabin in the woods, you now have a place to get away from it all — for a few weeks of the year, anyway. You can expect friends and relatives to drop hints about spending time there, too — with or without you! Whether you anticipate hosting guests yourself — or making your home available through Airbnb or a vacation rental property manager — you’ll want to outfit it with good quality, flexible furnishings that will work for a variety of situations and are built to last. Obviously, you know who you’ll be inviting as your personal guests – your besties or siblings, their partners, their children – and can equip your place to fit the needs of your “regulars.” This tiny 550 sq. foot cottage we showcased last year is a perfect example of a get-away designed to be shared by extended family. 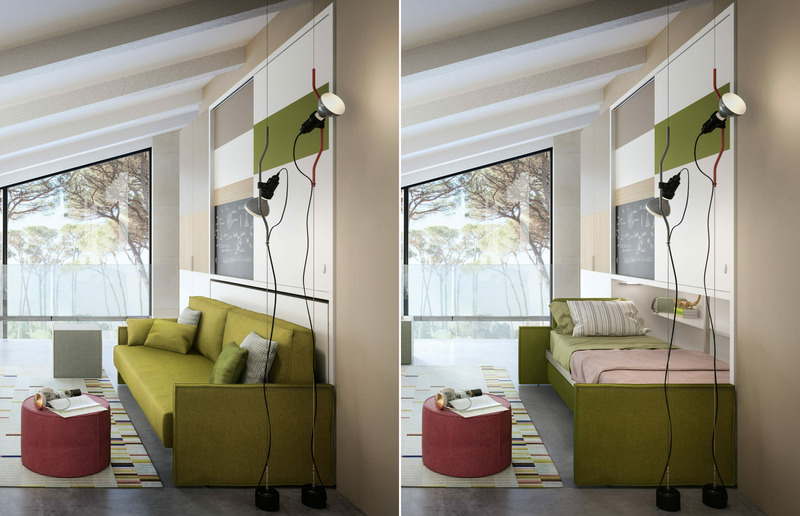 The owners use a Tango sofa wall bed to provide additional sleeping space in the living room, and a converting console table that turns an otherwise unusable entrance way into an area for either a desk or dining table. Don't skimp. Invest in quality furniture. Furnishing a vacation rental can be more challenging when you’re making it available to strangers. It’s tempting, especially after having just made a large financial investment in a vacation property, to want to skimp a little when it comes to furnishings. Maybe you know of a great consignment or second hand furniture shop nearby, or maybe you’re thinking about moving some of the furnishing from your primary residence to use in your vacation rental. Better think twice; potential guests make their decisions based primarily on photos, and a random array of second-hand furnishings isn’t likely to entice. Another reason not to go the used furniture route: if you expect your vacation rental to be occupied regularly, the furnishings may be used almost as frequently as they would be if the property were your full-time residence. And while most rental guests will be respectful of your possessions, accidents can and do happen. 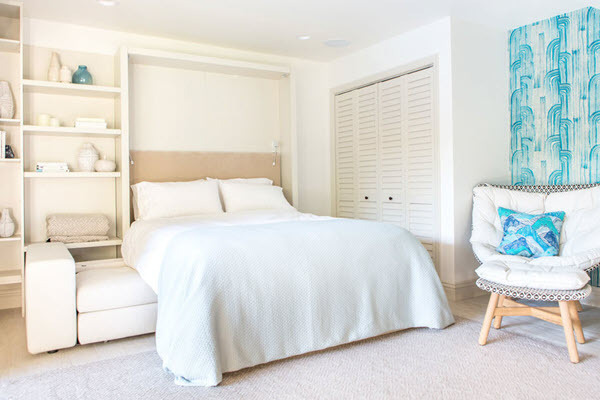 A bed that collapses under a guest, a table or chair with a rickety leg – chances are these items will become trash before the first rental season is even over. Multipurpose furniture that's both comfortable and beautiful. 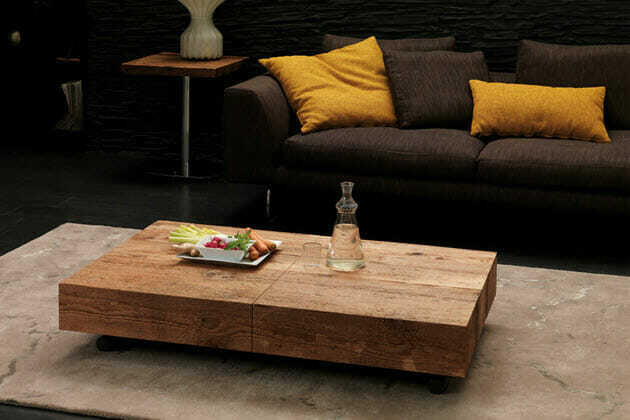 Consider investing in a few multifunctional pieces from Resource Furniture. When YotelPAD opened its cabin-style condos on the slopes of Park City, Utah, they tricked out the rentals with our Kali Duo Sofa and Kali Duo Board, two of our most popular twin-size bunk bed systems. 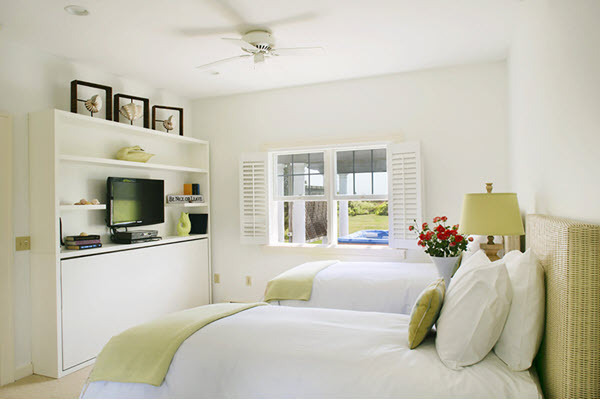 Perfect for families with kids – or adult guests with additional guests of their own — the Kali and Kali Duo were also chosen by the Winnetu Oceanside Resort on Martha’s Vineyard to use in their guest suites in lieu of rollaway cots. According to owner Gwenn Masterman Snider, guests love them for both their comfort and their ingenious design. Don't forget the dining area! Maybe you don’t plan on eating at home very much while you’re on vacation, but don’t overlook the importance of providing a suitable dining area for your renters. 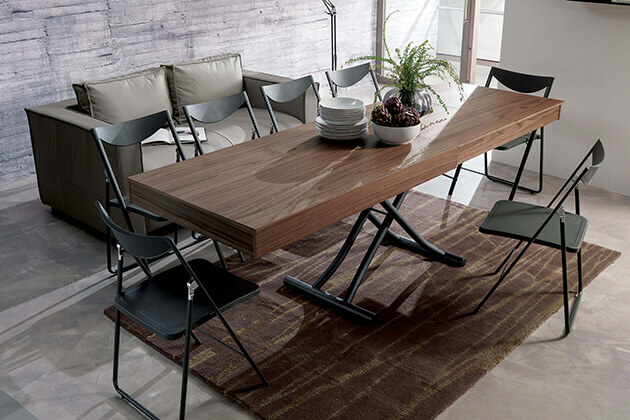 Even without a dedicated dining room, a transforming console (like our Goliath or Outdoor Goliath) or convertible coffee-to-dining table (like the Cristallo, Passo or Petite) makes it easy to provide a sit-down meal for the whole gang. 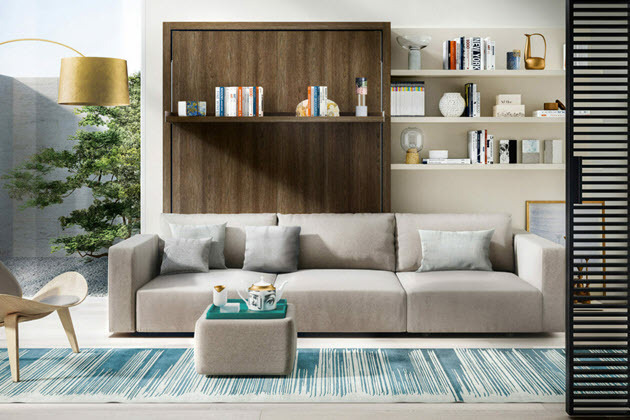 With furniture that serves more than a single purpose (and a lifetime warranty on all the mechanical parts and hardware for our wall bed systems) purchasing Resource Furniture is almost a no-brainer for the vacation home owner. Let your rental unit stand apart from the others with furnishings that are beautiful, durable, and fun to use. The owners of this pool house wanted their home to feel welcoming without the stress of protecting anything precious or worrying about spills. If you have a vacation home, you can bet you'll have guests. See how Resource Furniture helped two classic New England coastal resorts reinvent their space!